HOME ARCHITECTS ® will design residential projects for you and your project site, regardless of your location. We design projects all over the USA and the world and are also Hendersonville architects. Our office is technically in Cashiers, NC, however, we design all over the Asheville, Hendersonville, Brevard, Highlands, Lake Toxaway and Franklin areas. We also design projects that happen to be located in other states and countries, particularly residences. We design luxury residences all over the country and the world. Hendersonville HOME ARCHITECTS ®, create houses and other projects in the western North Carolina area, including Hendersonville, like this residence. (C)Copyright 2005-2012, Home Architect, PLLC, All Rights Reserved Worldwide. You may reside in one of the locations below. If you do not, that is okay with us. You may simply like our designs and want us to design something for you wherever you may be. Some of the areas below are not necessarily mountainous, but we believe that people there enjoy our sort of architecture. If you don’t see your location listed below, please let us know and we will update our list. We are happy to work with you wherever you are. In the Northwestern states, we are interested in performing services in: Minnesota, Iowa , Missouri, North Dakota, South Dakota, Nebraska. Continuing is this NE USA region, we request the opportunity to serve Wyoming, Montana, Idaho, Washington, Oregon and Alaska. We have designed a nice house in this region, and Rand Soellner became licensed in a seismic state: Washington State. In the Southwestern states, we are interested in designing houses in: Arkansas, Louisiana, Kansas, Oklahoma, Texas. We also would like to design projects in Colorado, New Mexico, Utah, Arizona, Nevada. We also look forward to designing a residence for an upcoming project in California. And let’s not forget Hawaii. We look forward to being of service in this region. We have already worked on a custom residential design in Oklahoma, the Rockies, and look forward to more. In the Northeastern states, we are interested in working in: Wisconsin, Illinois (where we designed a nice large estate house recently), Indiana (where Rand designed several houses), Michigan, Ohio and Kentucky. We would also like to continue designing residential projects in: West Virginia (where we created a splendid resort house on a lake), Pennsylvania (where we are presently engaged designing another estate house on large acreage), and Virginia. We also offer our services in: Maryland, Delaware, New York, New Jersey, Rhode Island, Massachusetts, Connecticut, New Hampshire, and Vermont. Rand Soellner designed a very nice custom home in northern Illinois, several residential, church and hospital projects in central to northern Indiana, a large estate mansion design in Virginia, 2 luxury residential projects in West Virginia, a study in Maryland, being considered for a residential project in an entire community in the Pocono Mountains west of New York City, a house in Rhode Island, and others. In Southeastern states we are interested in: Alabama, Florida (where Rand Soellner has designed dozens of projects including residential and commercial), Georgia, Mississippi. We are also interested in designing residences in Tennessee , North Carolina (where we have designed many houses and other facilities), and South Carolina (where we have also designed a residence. We are also Hendersonville architects. Rand Soellner Architect has scores of projects in Florida, some in Georgia, many house design projects in North Carolina. We welcome yours. Our services throughout the United States and the rest of the world. Many of our clients ask what services we offer and what we are called. 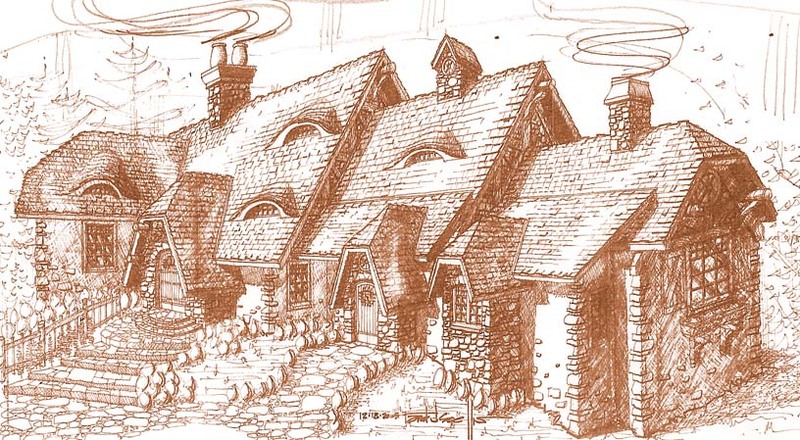 We are : Hendersonville architects, Stone Castle Architects, Cottage designers and Mansion planners. We also offer: Custom Home Architecture, Small cottage design, Family Estate Planning, Luxury Residential Architecture, Post and Beam design, to name a few. We have inquiries and/or projects in: Montana, Yellowstone National Park, Yellowstone Club, the Grand Canyon area, Tennessee, Indiana, Illinois, Pennsylvania, Connecticut, Idaho, Vermont, Massachusetts, Appalachian Mountains, Adirondack Mountains. We also have received inquiries for our services from: the states and locations of: Virginia, Maine, Blue Ridge Mountains, Maryland, New York, Pennsylvania, Utah, Kansas, Wyoming, Rocky Mountains, New Mexico, Washington state, Colorado, Wyoming, Oregon, Kentucky, Texas, Alabama, Florida, Nevada, California, South Dakota, North Dakota, Oklahoma, Georgia, South Carolina. The list continues with: Texas, Louisiana, New Jersey, New Hampshire, North Carolina, Nebraska, West Virginia, Minnesota, Michigan, Mississippi, Alabama, Florida, Delaware, District of Columbia, Arkansas, Missouri, Iowa, Ohio, Alaska, Kuwait, Bahrain, China, Japan, British Columbia, Brazil, Dubai, the Alps, Venezuela, Germany, France. We were also pleased to hear from: England, Saskatchewan and other locations in Canada. Wherever your land is in South America, North America, Andes Mountains, China, Europe, Russia, Ural Mountains, Hawaii, India, Himalayan Mountains, or anywhere, we can design a project just for you. Thank you for your interest in our residential design work, we will do our best to make your project an enjoyable experience, no matter where it may be. Some of the towns, areas, cities and services from the above long list include these locations and services: Hendersonville NC, Cashiers NC, Highlands NC, Brevard North Carolina, Asheville, Seattle WA, Tacoma WA, Gig Harbor WA, Seabeck Bay Washington, Telluride CO.
Other interesting cities and towns and services include Mills River NC, Charlotte, Lake Norman, Lake Lanier, Lake Travis, Denver CO, Canada, The Cliffs, Balsam Mountain Preserve. We have toured these regions and in fact are creating house designs in some of them and would like to work with you in your area to design your home: Lake Mead, Buckhead, Macon GA, Winston Salem NC, Boone NC, Richmond VA, West Virginia, Glade Springs WV. Thanks again for your interest in what we do; we look forward to serving your architectural design needs. We enjoy working in all of the locations listed above and more. We look forward to designing your custom house wherever that may be, and assure you of our professionalism on each and every project. Please give us a call now.